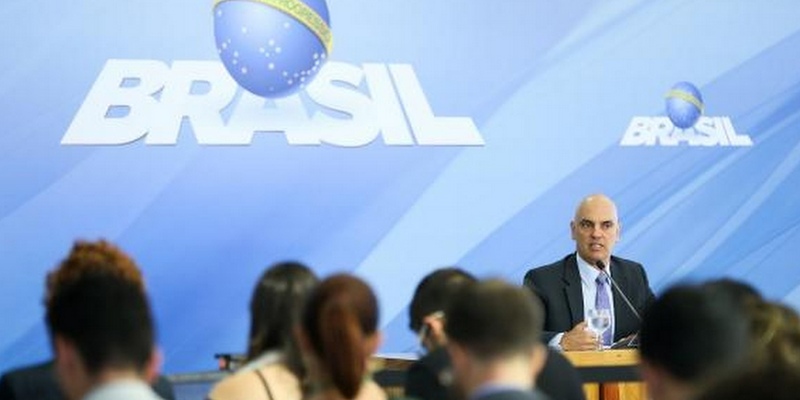 Justice Minister Alexandre de Moraes presented today (Jan. 6) a final draft of the National Security Plan, which is based on three lines: integration, cooperation, and collaboration. According to him, contrary to previous plans, they have drafted operations, not intentions. The document also received suggestions from state security departments to be concluded. "Everything that is proposed in the plan is in line with the budgetary forecast. The things that we realized that had no budget for due to the country's economic conditions will be implemented later. The plan is extremely realistic,” said the minister. The new plan has three main objectives: to reduce homicide and femicide rates, and reduce the violence against women; to engage in an integrated fight against transnational crime—linked to large gangs that work with drug trafficking and heavy artillery—, and to rationalize and modernize the prison system. "These three goals are interconnected because they have a direct relationship with drug trafficking and organized crime. In combating this, the others are related crimes and will also drop," said the minister.